Dr. Dina Navarro is Board Certified in Obstetrics and Gynecology, and has been seeing patients of all ages at The Women’s Group in Pensacola, Florida since 2013. Dr. Navarro attended The Johns Hopkins University in Baltimore, Maryland where she received a Bachelor of Arts in Natural Sciences. She then attended New York University in New York City where she was a Masters of Science Candidate in Biology. Dr. Navarro earned her medical degree at Nova/Southeastern University of Health Sciences in Davie, Florida. Her internship was completed at Long Beach Memorial Hospital in Long Beach, New York where she was Chief Medical Intern. She completed her residency training in Obstetrics & Gynecology at the University of Florida College of Medicine based at Sacred Heart Hospital in Pensacola. Prior to joining The Women’s Group in September 2013, she practiced in the Pace/Milton, Florida area for over 15 years. Dr. Navarro is a past chair of the OB/Gyn Department at Sacred Heart Hospital and Santa Rosa Medical Center and has served on numerous hospital committees. 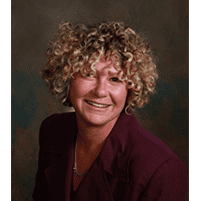 She is a Clinical Professor in the Department of Clinical Sciences at the Florida State University College of Medicine and is a member of the Clinical Faculty for the OB/Gyn Residency Program. Dr. Navarro is a member of the American College of Obstetrics and Gynecology, the Florida Osteopathic Medical Association, the Escambia County Medical Society and the Healthy Start Coalition. Dr. Navarro has a special interest in adolescent medicine and teaching and has done research in the past in developmental biology. She has privileges at Sacred Heart and Baptist Hospitals and performs some surgeries using the daVinci Surgical System. Dr. Navarro grew up in New York. She has been married to Jose for over 25 years and they have a son Dante who recently graduated from the International Baccalaureate Programme at Pensacola High School. She enjoys baseball, tennis, the beach, traveling, music and spending time with her family.